Death Grips don’t use social media that much, and when they do, it generally doesn’t make much sense – maybe they’ll use Instagram to post 45 unspectacular photos of a wine bottle in a row, or maybe they’ll retweet a bunch of ‘Death Grips is online’ shitposts. But their latest social missive is one of the more baffling things they’ve shared in a while. On Monday (March 12), the band posted a photo on Twitter with the caption ‘Working on the new album with Andrew Adamson’. But Andrew Adamson, as a cursory Google search will reveal, is not a musician – he’s a director, and his most famous work is a little film called Shrek. Normally this would seem like a joke, and maybe this is a joke, but there is some credibility to the post given there is literally a photo of Adamson recording into a mic. Oddly enough, Shrek and Death Grips have crossed over before. 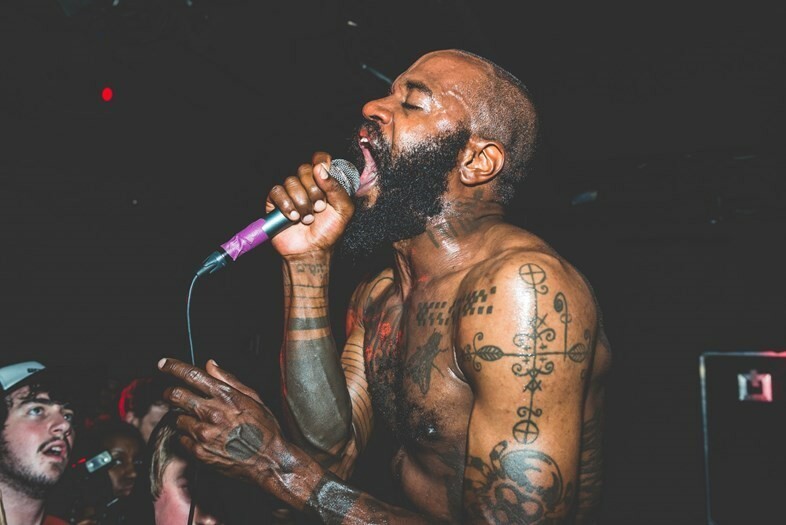 Given the intensity of the band’s online fanbase and their memelike status, Death Grips’ tracks have often been used as source material for ironic blends and mashups. The Smash Mouth song “All Star”, meanwhile, is a meme in its own right. Given the prominent use of Smash Mouth’s song in Shrek, it’s maybe not surprising that there are plenty of ‘Shrek Grips’ mashups of the two artists on YouTube. Who knows what’s going on. Check out the tweet above and listen to one of those unholy mashups below.